Hi, I'm Wardina and welcome to my page! There's nothing more rewarding than having the privilege of helping you achieve your health and wellness goals! Together, we will create an environment of trust and work as a team. As your health coach, I will educate and empower you with practical science based informatation and inspire and guide you so you can take control of your health and make the right decisions. I will help you focus on developing a positive relationship with food and avoid the emotional roller coaster associated with the dieting mindset while improving your overall health and wellness. I will help you gain the confidence you need to execute and sustain a specific health change. We all know we need to eat well and exercise but this can be a challenge for many. So, are you ready to make a change? Are you willing to do what it takes to be the best that you can be? If you answered yes, then let me help you! Nourish your body with the right foods, and live your life to its fullest. A healthy you begins on the inside. Focus on you and be that person you've always wanted to be!! 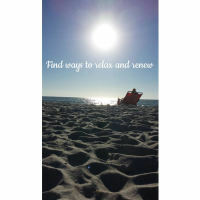 Find your favorite spot to relax and rejuvenate to feel a whole lot better. 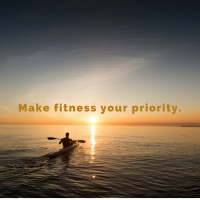 We don't always have time to exercise but it doesn't have to be that way. Plan your schedule out a week before and make that committment. It's never too late to start a healthy life! One simple change goes a long way! Try to commit to one lifestyle change this week and stick to it. Take the stairs instead of the elevator or walk the extra mile and see how that makes you feel. Small steps equal progress! I would love to hear how you did. Like me on Facebook for updates and tips! The information on this site is for educational and informational purposes only and is not intended to diagnose, prevent, cure, heal or treat any medical condition. I am not a medical doctor and information presented is not medical advice or intended to replace a one-on-one relationship with a doctor or health care professional. Please consult with your health care provider about medical questions, do your own research and make your own health care decisions based upon your own research and judgment in partnership with a qualified health care professional.